Transport images collection of vector illustrations of bikes. Stylized vehicle silhouettes consisting of basic lines and shapes. Different shapes and bike constructions. Free images to use in all your road sign designs, company logos, app icons and stickers. 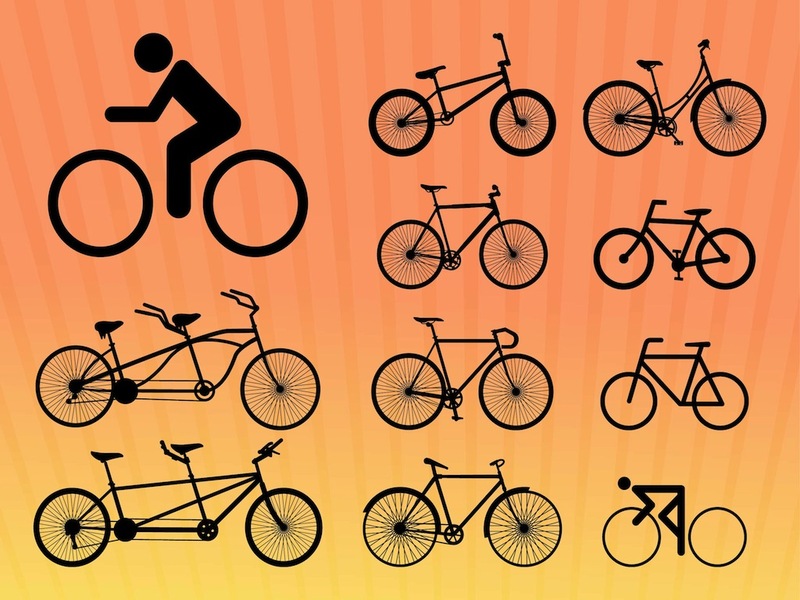 Download biking vectors for your leisure, hobby, activity and sports designs. Tags: Bicycle, Bikes, Biking, Hobby, Icons, Ride, Riding, Sport, Transport, Workout.